Sunstock Brings the Summer Solar Fun! June is the season to kick off summer time fun, which usually includes good times, good music, and plenty of sunshine. Fortunately, all of those things were found at the first ever Sunstock Solar Festival at The Autry. Sunstock, which took place on June 18th, aimed to bring the folks of Los Angeles great music, lights, and art combined with community involvement and direct action, powered 100% by solar. Some of the proceeds from Sunstock were donated to GRID GLA to install a solar electric system for the Kids Cancer Connection (KCC). KCC runs the Kids Cancer Connection Family House and Wellness Center, located in Woodland Hills off the San Fernando Valley. They provide temporary housing (at-no-cost) to out-of-area families with a child receiving medical treatment at area facilities. 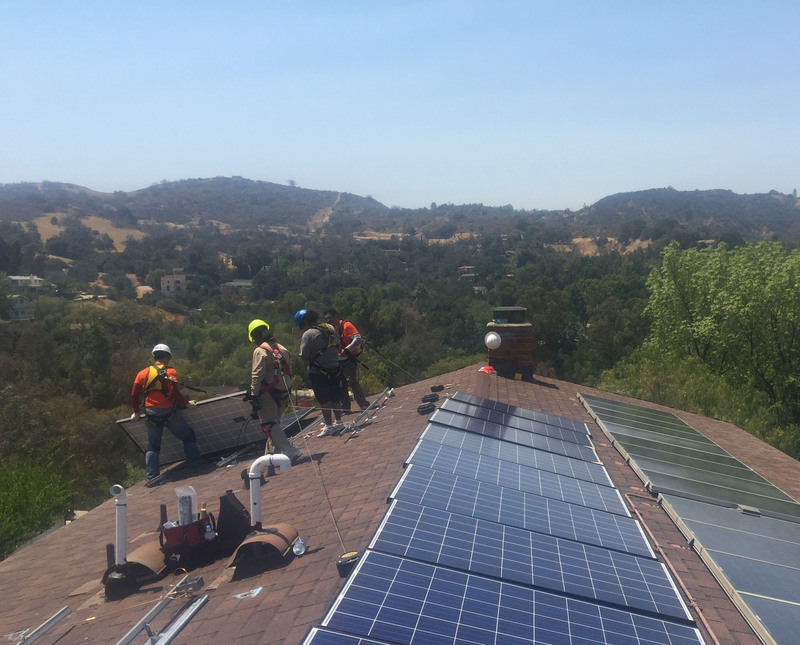 GLA installed a 3.55kW-AC system, that when combined with an older, existing solar system on the facility, will offset 95% of the annual usage. GRID GLA would like to thank festival founders Skylar Funk and Merritt Graves of Trapdoor Social, the sponsors: Tsing Tao, Smalltown Brewery, Restart Solar, Lagunitas, and the volunteers that made the Sunstock Solar Festival possible. The efforts of all involved allowed us to bring the energizing power of solar to more deserving people in Los Angeles. We look forward to seeing you all at Sunstock Solar Festival next year!